Is the location of your thermostat causing your heating or air conditioning problem? 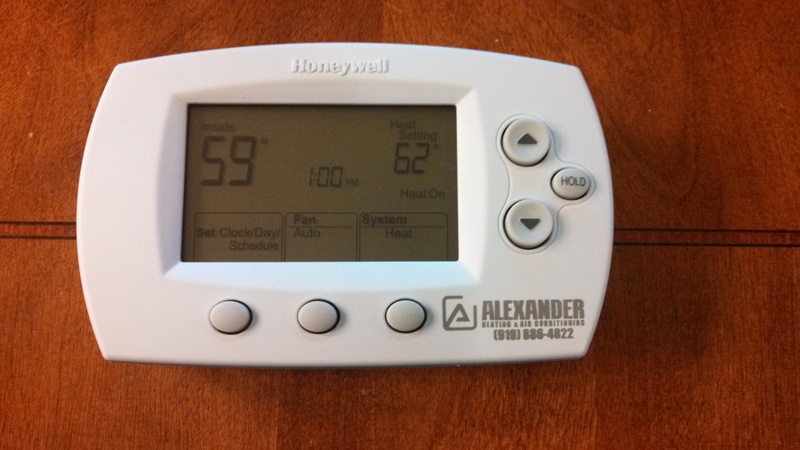 Did you know that the thermostat should be located on a wall away from windows, doors, and direct sunlight? That’s right, away from all those areas that can directly affect the operation and true reading of the average room temperature. The proper location of the thermostat is on an inner wall, about 5′ off the floor, away from heat sources, and close to the return grill. This will put the thermostat in an area unaffected by spot heat sources and around the correct height for most standing people’s comfort. Don’t forget to visit our website. We service Raleigh North Carolina, Durham North Carolina, Cary North Carolina, Apex North Carolina, Holly Springs North Carolina, Morrisville North Carolina, Fuquay-Varina North Carolina, and Research Triangle Park.